Go Camp France is one of the fastest growing, independent camping websites in the UK with customers worldwide. We help families, groups, couples and individuals find campsites in France. Campsites like yours! Sign up today and list your campsite on Go Camp France. It’s quick and easy to get started – simply choose an advertising package from the list below and check out safely and securely using PayPal. You will be charged for 12 months advertising upfront. Upon receipt of payment notification via Paypal a member of our team will contact you within 24 hours to request the details of your campsite. Advertise your campsite on Go Camp France for only €5 per month. Advertise your campsite on Go Camp France for only €10 per month. Advertise your campsite on Go Camp France for only €15 per month. 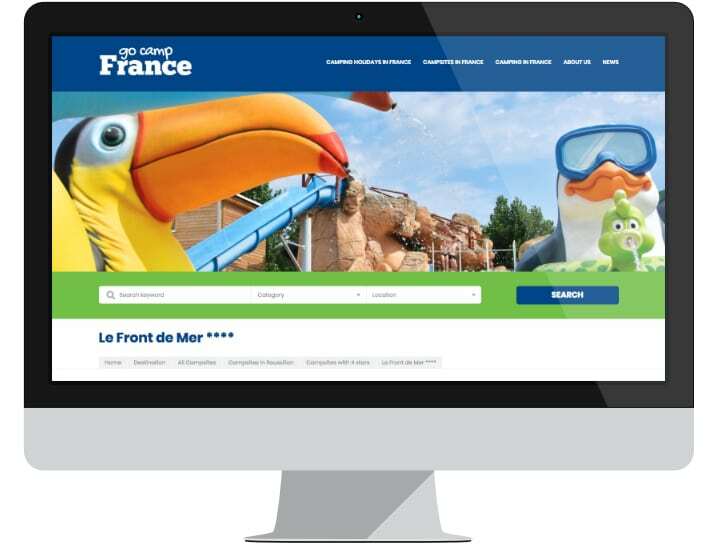 Holidays companies and groups looking to advertise multiple campsites with Go Camp France can take advantage of our tailor-made advertising package consisting of your very own, dedicated search category, company page, campsite branding, campsite listings and discount structure delivering excellent ROI. At Go Camp France we’re passionate about promoting French campsites and camping holidays to families, groups, couples and individuals who love camping in France. We give campsite owners maximum exposure to holidaymakers from the UK, Europe and further afield who are looking to book a campsite in France. We help you grow your bookings! We direct highly targeted and relevant web-traffic to your website helping you increase direct bookings, ensuring that your campsite achieves the holiday booking levels it deserves. Our web-traffic comes from families, groups, couples and individuals who are searching for campsites like yours in France. With an in-house team of marketing experts at Go Camp France we achieve the level of performance you would expect as a business owner. We operate a simple, one-off advertising fee for campsite owners, booking a PREMIUM or BASIC campsite listing. We do not charge ongoing sales commissions – we think this is unfair. We established Go Camp France in 2011, a family-run business set up to make camping in France easy! Since then we have continued to grow in order to meet the needs of our customers – families, groups, couples and individuals looking to book a campsite and camping holiday in France. We’ve grown organically and continue to combine strategic offline and online marketing to generate quality traffic. 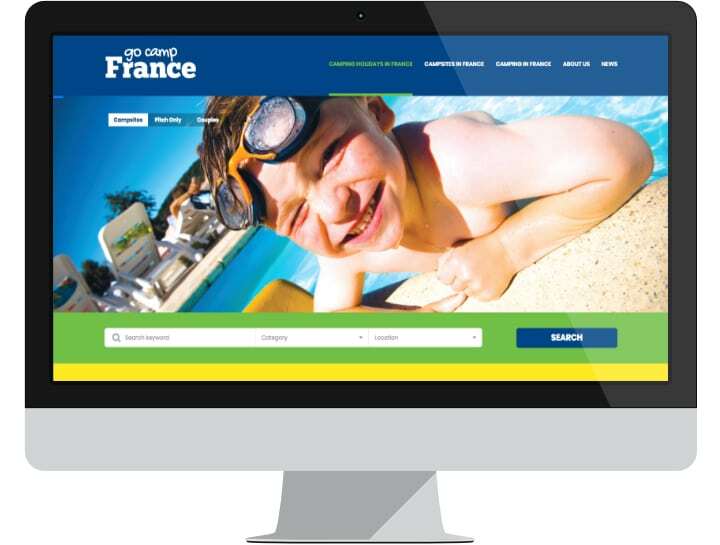 The Go Camp France website is easy to use and navigate. We are ideally placed to help campsite owners communicate effectively with customers. Not only do we have a responsive website but a responsive team – always on hand to help answer your questions. 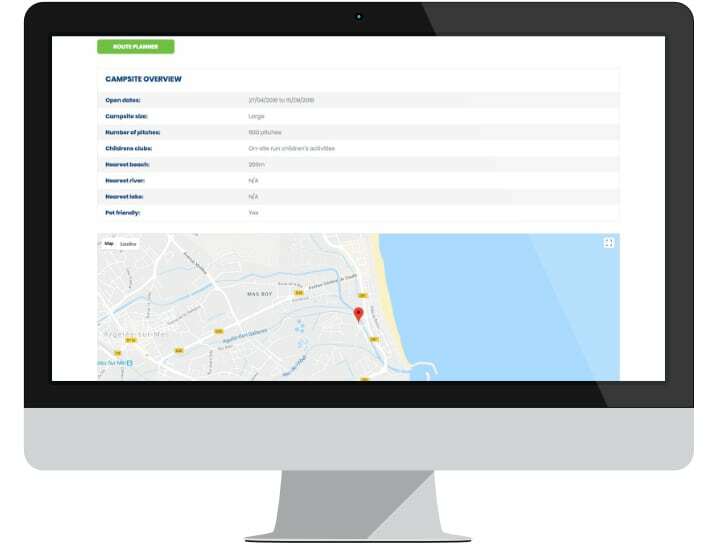 We offer three levels of campsite listing on Go Camp France – an enhanced Premium listing, Standard listing and an entry level Basic listing. A full colour header image of your campsite, 400px in height. A gallery of between 6 and 15 images, depending on the package you choose, showcasing your campsite to potential customers. A detailed description of your campsite i.e campsite activities and facilities, accommodation, things to see and do. Campsite descriptions are limited to 1000 words for Premium, 500 words for Standard and 350 words for Basic listings. Premium and Standard listings include your campsite address, telephone number, email address, website address, opening hours, links to your social media pages ie Facebook, Twitter, direct booking button and more. Premium listings include our NEW YouTube video link. There are lots of benefits to listing your campsite on Go Camp France but if that’s not enough we have a range of exciting, add-on advertising opportunities including: holiday competition, product give-aways, banner advertising, content creation and blog articles, social marketing, email marketing and more. Finally, the team at Go Camp France always aim to provide unbiased, informative information and reviews of campsites, camping holidays and camping equipment to our readers. From tents and camping essentials to jackets, footwear and sleeping bags. We try, test, review and rate to help potential buyers, looking to purchase in the future. For more information contact us to discuss how we can help review your products.